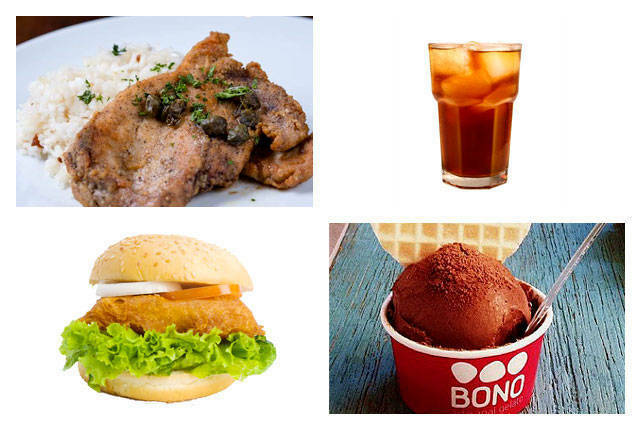 SPOT.ph blogger Angelo Comsti’s picks will help you do one thing for sure: Forget Cronuts. (SPOT.ph) While Cronuts continue to breed and mutate into many other flavors, we shouldn’t forget our homegrown confection. With its own share of face-lifts, the humble ensaymada has been crossing over from sweet to savory, thanks to the creative minds of some of our bakers. The donut-croissant hybrid has had its time in the spotlight. It's high time we give these buttery buns another try. 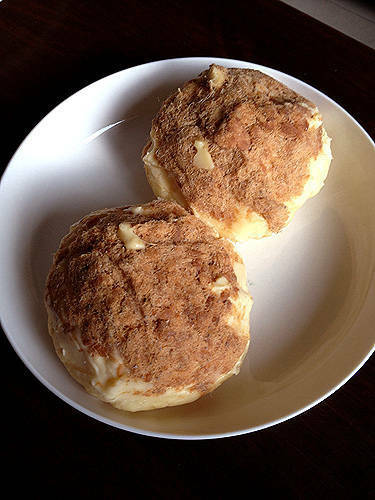 Pampanga-based Chona Ayson first baked her grandma's ensaymada in 2010. Using a recipe that dates back to the 1930s, it was such a hit that it became a brand on its own. 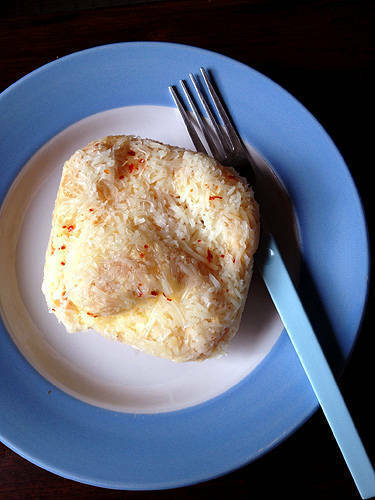 Just recently, her babies became adults when she added chopped red bird's eye chili into the batter, turning the ensaymada into spice-speckled beauties. You won’t get an explosive amount of spice; rather, it’s a surprising heat that will tickle your tastebuds, extinguished by the sweetness from the butter-sugar topping. The Chili Ensaymada is P100 per piece. For orders, contact Homemade Treasures at (045) 323-4149 or 0928-507-0928. 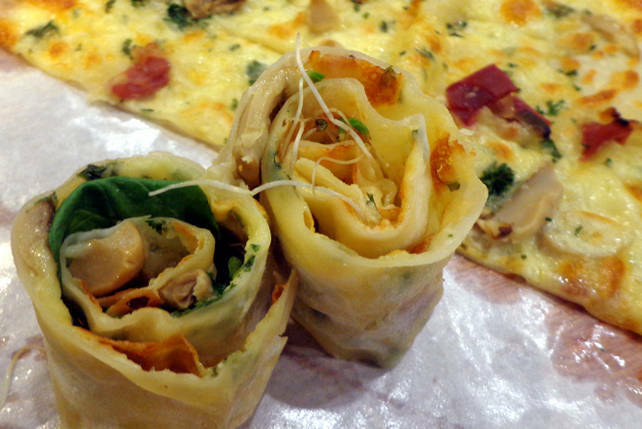 Just like its baker, Hey Gourmet's ensaymadas have so much character. Twenty-one-year-old Judy Ang merges these iconic pastries into other favorites like Oreos, salted caramel, and tiramisu, as well as producing boundary-defying flavors like Truffle Mushroom and Pesto. The pork floss and buttery ensaymada result in something that is not quite salty and not quite sweet with the contrast heightening the opposing flavors. The Pork Floss Ensaymada is P70 per piece. For orders, contact Hey Gourmet at 0922-857-9151. The ensaymadas by Laguna-based Baby Pat by Pearl de Guzman began with friendly and simple flavors like Latik, Tablea, Coco Jam, Nutella, and Speculoos. Upon the suggestion of friends though, she created a line that’s quite unusual: based on -silog meals, there are Tocino, Tapa, and Vigan Longganisa flavors infused in the pillowy dough, giving you a hint of savory in every sweet bite, and consequently making the pastry an ingenious sweet and salty snack. The Vigan Longganisa Ensaymada is P150 per piece. 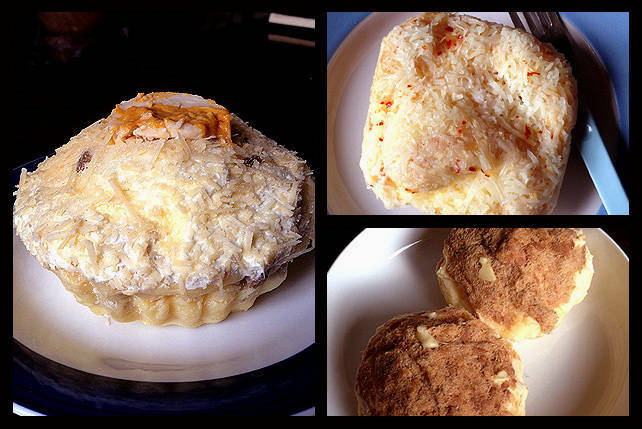 For orders, contact Baby Pat's Ensaymada at (02) 775-1231 and 0923-975-9777. 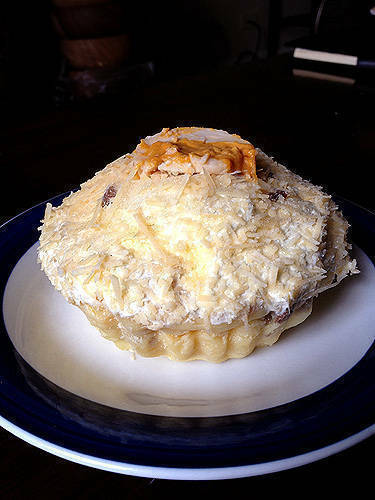 Restaurateur Myke Sarthou has an ensaymada hybrid that is fitting for the coming holidays. "I wanted to do a different take on the sweet-salty combination. So I thought, how about siopao na ensaymada?" he says. Yellow brioche replaces white steamed bun and instead of asado or bola-bola, you’ll find huge chunks of lechon inside. 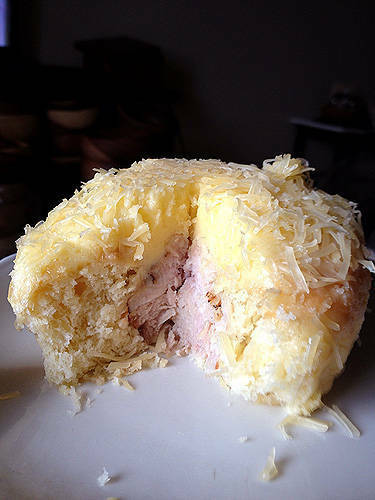 The ensaymada looks and feels light, but soon as you reach the meaty center, it becomes rich, indulgent, and just plain great. The Lechon Ensaymada is P160 per piece. For orders, contact Chef Tatung at (02) 661-7703 and 0915-290-1001. Angelo Comsti studied at Le Cordon Bleu Australia and writes for Yummy magazine in addition to other publications. Grab a copy of his bestselling cookbook From Our Table To Yours for a collection of generations-old heirloom recipes from some of the country's best cooks and chefs. Follow Angelo on Instagram (@fooddudeph) to see more of his food discoveries.